Photos have the following limits: Minimum height of 150 Aafilogic InfoTech Pvt. Ltd is a Delhi based Mobile App development and, web development company in India, providing fresh,...Read morePhotos have the following limits: Minimum height of 150 Aafilogic InfoTech Pvt. Ltd is a Delhi based Mobile App development and, web development company in India, providing fresh, creative digital services to businesses who want to grow online. We use our technical skill and industry insight to help you meet your digital goals. We deliver elite quality design, development, marketing, advertising services at competitive IT industry prices. Our Mission is to work with clients by Support them to identify their needs & guide them in designing solutions as per best practices in the industry, which can gain maximum benefit to their business through long-term association. 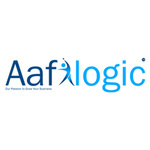 Aafilogic InfoTech Pvt Ltd is a team of Developers, Designers, and Strategists passionately pursuing the cutting edge of mobile apps that are custom built to exceed client expectations.